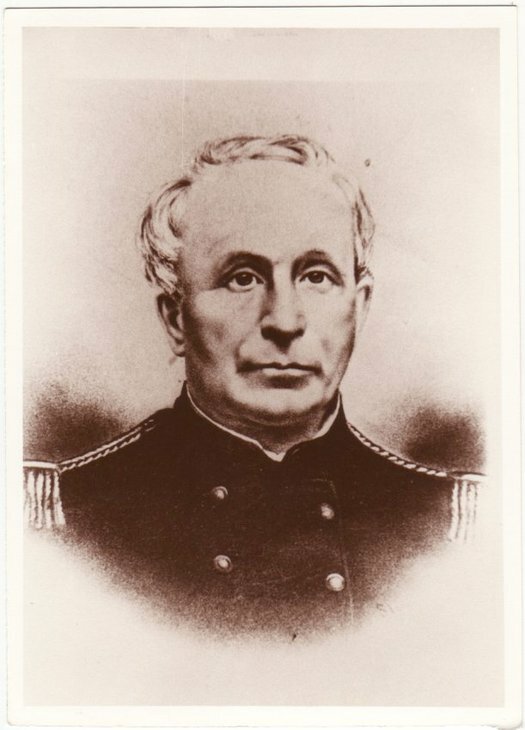 The formation and training in Potsdam of the 92nd Regiment, New York Volunteers, was due largely to the efforts of one man, Jonah Sanford of Hopkinton, a veteran of the War of 1812 and a dedicated patriot. 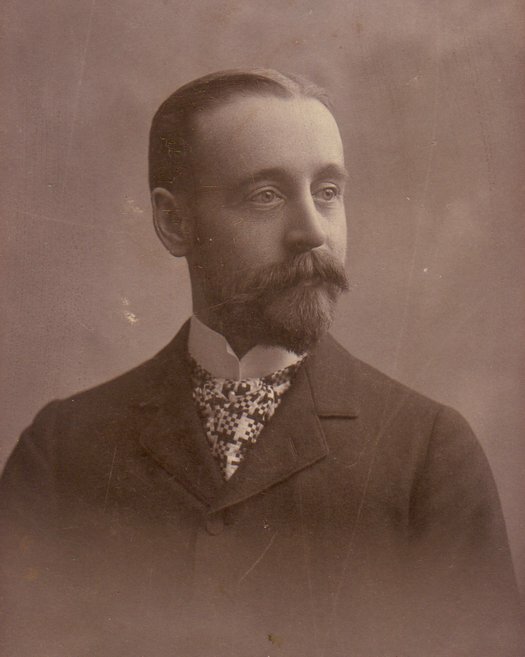 A native of Vermont, Sanford was of impressive stature, standing 6-feet 4-inches, broad shoulders and handsome. He served in the War of 1812 and fought at the battle of Plattsburgh. 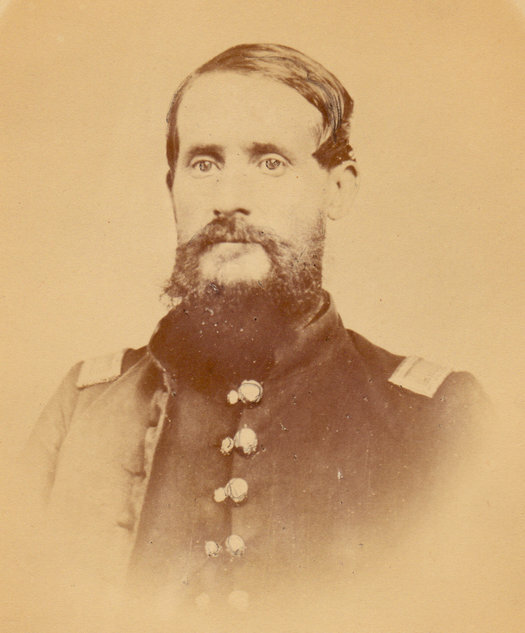 Following that War, he moved with his wife to Hopkinton, where he had purchased some land. He took up the study of law and later became a circuit judge. He served as a member of the State Assembly from 1829 to 1830, and in the U.S. Senate from 1830-1831 in Silas Wright's place when Mr. Wright was elected Governor of New York State. He also held the rank of Brigadier General in the New York State Militia. General Sanford was a strong Union man, dedicated to the cause it represented, even though earlier he had been an ardent democrat. Realizing the grim reality of the conflict, General Jonah Sanford, although 71 years of age at the time, began to take action. In late September, 1861, he enlisted the aid of the Honorable Preston King, U.S. Senator from Ogdensburg, and the Honorable W. A. Dart from Potsdam. The three men went to Albany to confer with Governor Morgan and to obtain authorization to organize a regiment to be trained in Potsdam. The authorization was granted and the task begun. Suitable grounds were purchased, contracts for the buildings awarded, and Camp Union, home of the 92nd Excelsior Regiment, soon became a reality. General Sanford himself set about recruiting men for the new Regiment by riding all over the eastern part of the country in his horse and buggy. Patriotic meetings were held in all the towns of the area and General Sanford appeared at each, together with officers from the 16th and other regiments who were home from the battlefields. They all spoke eloquently about the importance of preserving the Union and freeing the slaves. 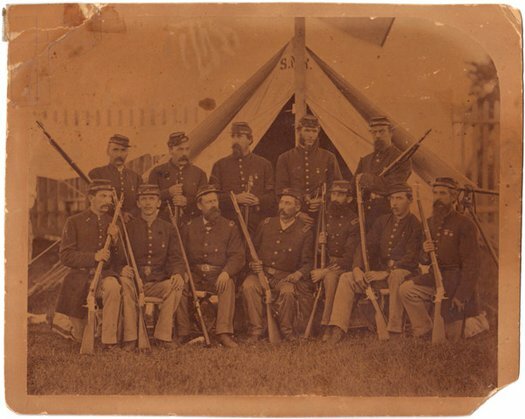 "In Potsdam, three local men, including the editor of the Courier & Freeman, opened recruiting offices..."
While the company rosters were being filled up, work had begun on Camp Union where the men would be trained. 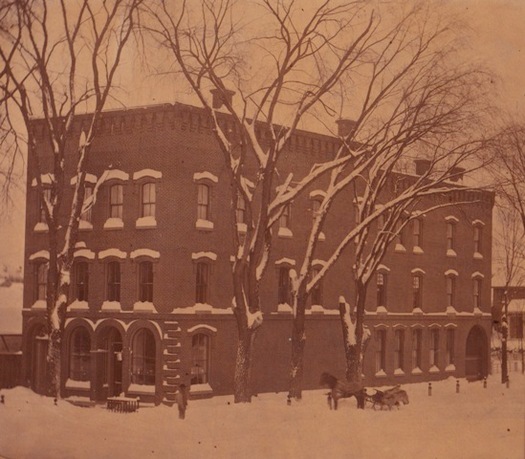 The barracks and drill field were located in the northern part of the Village, running approximately from Garden Street back as far as Castle Drive and from Market Street to Leroy Street. The land belonged to Mr. Hubbell, and formerly to David L. Clarkson. A barracks to be paid for by the government was erected by George Swan. It was 240-feet long and 24-feet wide, and was made of rough inch boards and a board roof of double slant. It was divided into 10 apartments, each of which would accommodate a company of 100 men. The cost of the barracks was $675. A dining hall and cooking room was built nearby by Luther Priest and William Barnum, who also dug wells. These men also had the contract for feeding the men, and the agreed price for rations was 28 cents per man per day. By October 30, Lt. Wilson Hopkins, home on leave from the 16th Regiment, had sworn 520 men into the 92nd Regiment, New York Volunteers. By then, the barracks were completed and occupied, and a small camp hospital was set up and in use. Recruiting was still with advertisements continuing in the military classified column each week.